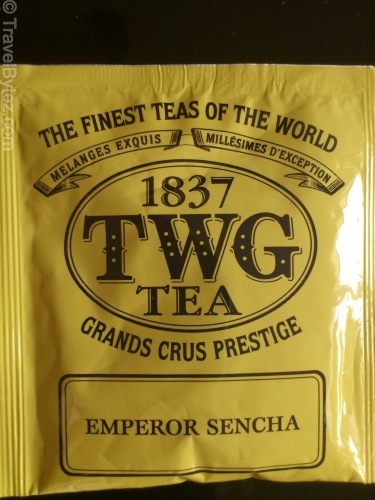 My first encounter with TWG’s (The Wellness Group), a Singapore-based tea company, tea was really when I was on a staycation at Moevenpick Heritage Hotel Sentosa. TWG’s Paris-Singapore Tea was the first tea that I tried from TWG. It wasn't my favorite but I like trying out new things. 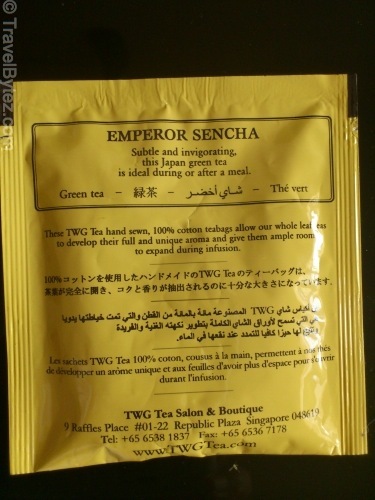 Finally, I managed to find an opportunity to try the TWG Emperor Sencha. The packaging states that it is a “subtle and invigorating” Japanese green tea that is ideal during and after a meal. If you don’t know already, TWG teabags are sewn in a cotton teabag, giving the leaves in the bag ample of room to expand during infusion.